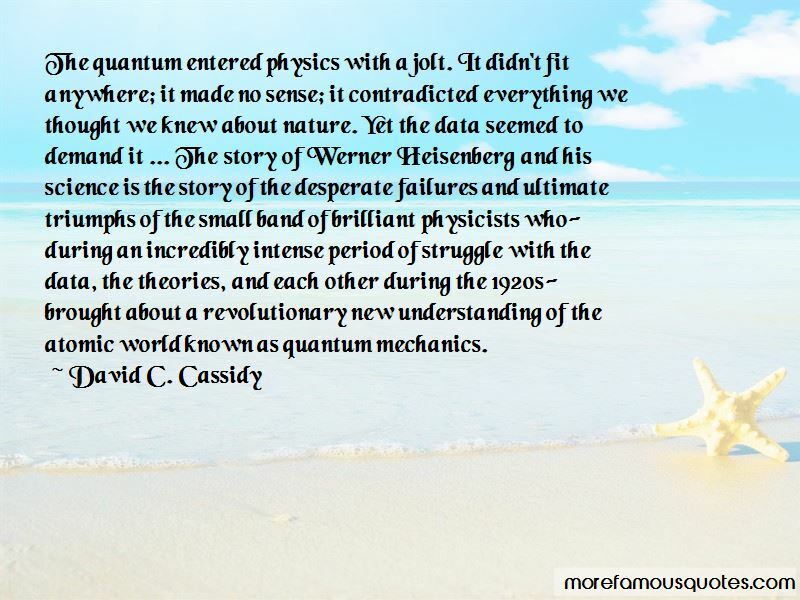 Enjoy the top 2 famous quotes, sayings and quotations by David C. Cassidy. Relativity was a highly technical new theory that gave new meanings to familiar concepts and even to the nature of the theory itself. The general public looked upon relativity as indicative of the seemingly incomprehensible modern era, educated scientists despaired of ever understanding what Einstein had done, and political ideologues used the new theory to exploit public fears and anxieties-all of which opened a rift between science and the broader culture that continues to expand today. Want to see more pictures of David C. Cassidy quotes? 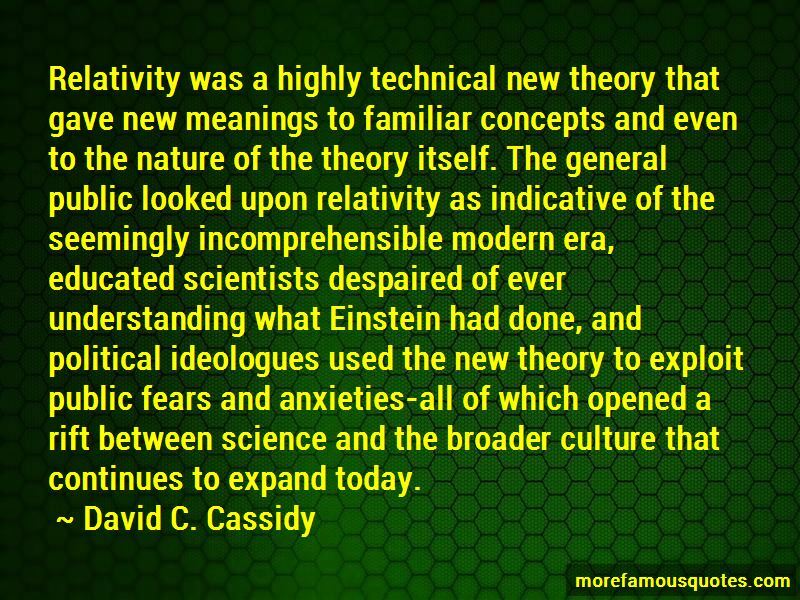 Click on image of David C. Cassidy quotes to view full size.